It’s official. The results are in. I survived. Take that triathlon! But seriously, a bunch of people have been asking how I did. I knew after the race roughly how I ended up, but I figured I’d wait till I got the official results to post about it. 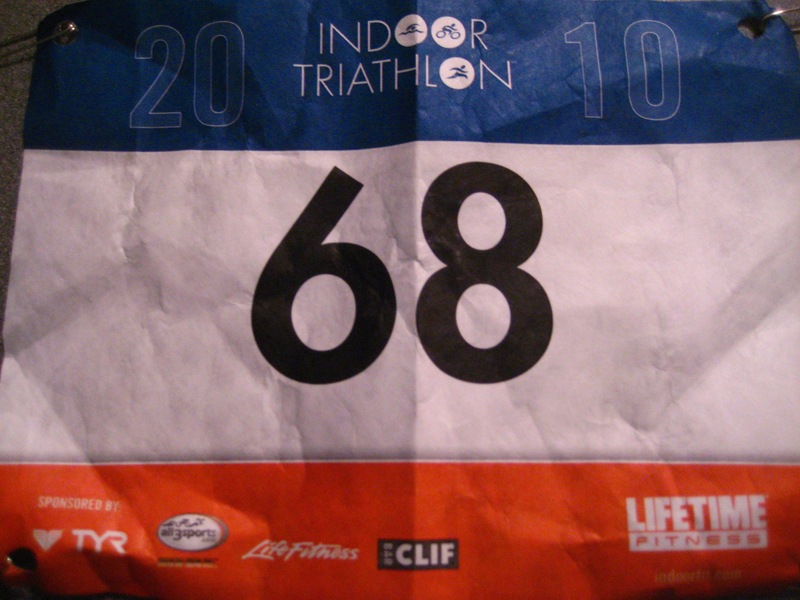 Since this was a timed triathlon, the scores are judged by how much distance you cover in a certain time. I ended up right in the middle of the pack. Not bad for my first triathlon, 1 weeks of notice and not very much training. At first I wasn’t sure if I liked how they scored this. I thought it would be more accurate if they would have awarded points for the individuals in each category so I went ahead and added up the scores that way, but I actually ended up dropping a few spots, so I won’t be posting those results on here. Feel free to do the math yourself if you want, but I guess I’ll be happy with the results they posted. There were a total of 76 athletes in today’s event. The way it is scored is as follows. The triathlete who swam, biked or ran the furthest earns 76 points, the triathlete who was the 2nd furthest for the swim, bike or run earns 75 points until the triathlete who went the shortest distance of any of the 3 disciplines earns one point. Then the 3 scores for each athlete are totaled for your final score for the day. You are then ranked first by gender and then by open (age 39 and under) or masters (age 40 and older). Overall, I’m pretty happy with the results. I knew my swimming was going to be terrible, but I didn’t drown [+1 for me]. I definitely gained a new appreciation for the difficulty of swimming. While my running and biking both aren’t my favorites, I’ve still learned how to push myself over the years. You start to get used to the heavy breathing and gasping for air. It’s a whole different sensation when you’re swimming. One half of your body is gasping for oxygen & the other half is trying not to breathe because apparently our lungs can’t extract oxygen from water. As much as you’d think that H2O wouldn’t be too hard to break up [fish can do, dangit] it’s just not pysically possible [yet]. This left me awkwardly gasping for air when while simultaneously trying to time my breaths for the few moments when my face wasn’t underwater. 9 minutes in and a good half-gallon of pool-water later, I started to figure it out =). So one tri down. What’s next? I’m going to actually do a real one. I’m looking for a sprint tri to do [ swim, bike, run] this next month and then hopefully an olympic the following [if I can find one that doesn’t conflict with the 8 weddings I have in June, seriously 8? C’mon people].